This year marks the 30th anniversary of vocal trio After 7 featuring Jason Edmonds, Kevon Edmonds and Keith Mitchell. The platinum-selling group has made its mark singing everything a gentleman counts on conveying that a lady longs to hear. From the very beginning, their sound has been a seamless blend of classic soul and urban contemporary that has inspired countless encounters of love, lust, romance, heartbreak and reconciliation. Their love songs are further enhanced by their spellbinding live show featuring smooth choreography and stylish attire. 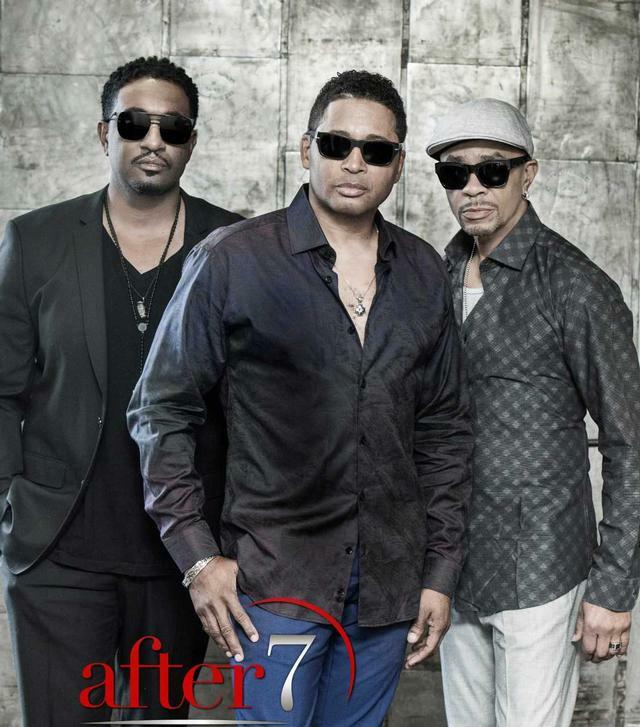 After 7 proudly carries the torch of the legendary soul music groups reflected in their live shows and recordings including their current album,Timeless. After 7 possesses the essence of the great singing groups that came before them, the pulse of what’s happening now and the uncanny anticipation of sounds yet to come.